Some goals are tough and require a little tough love. It may be something you’ve tried to accomplish multiple times, but simply can’t seem to do. It could be something unpleasant. It could be breaking a deeply ingrained bad habit. When the pleasure of success isn’t enough to motivate, sometimes a real sting has to come into play. Beeminder might be just the tool you need when the honey of success won’t motivate like the sting of defeat. 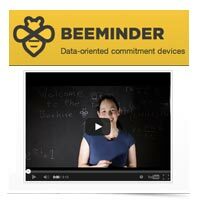 Beeminder is a free web-based software that helps you track progress on any goal. If you go off track, you pledge money to stay on the road the next time. If you go off track again, Beeminder charges you!